Ryan's Smashing Life: CAPPA to play The Outlaw Roadshow Nashville! CAPPA to play The Outlaw Roadshow Nashville! Originally hailing from outside Philadelphia, 24 year old CAPPA is no newbie to the music scene. Starting to write songs at age seven, Carla Cappa released her first album in 2009 where her song “I’m Not” won her 1st place in the USA Songwriting Competition. Landing a showcase that brought her to Nashville, TN, she moved shortly after to pursue her music career. The young artist released a series of singles which landed her traction on Sirius XM 20 on 20, Buzzfeed, and eventually landed her a feature as background vocalist for Passion Pit’s live VEVO session. CAPPA plays Saturday 7/18 at 9:30pm at The High Watt! Developing a distinct new sound, Carla Cappa has launched her new, long- awaited project CAPPA. Just having dropped her official self-titled EP, CAPPA’s singles have been floating around on popular internet sites such as SPIN, Alt Press, Noisey, Tunecore and many more. Her single “Hush” was described as “a little gem of a pop classic, think Broods in the beat with Grimes on vocals and that thing where Taylor Swift is always talking about what color dress she’s wearing” by All Things Go. 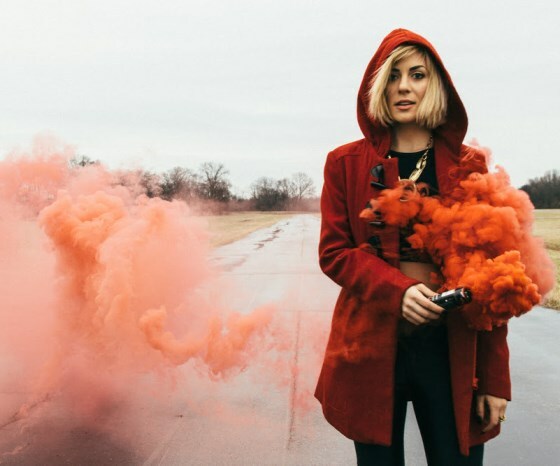 Popular music blog The Music Ninja stated artists like CAPPA “are truly redefining what the [pop] genre is all about.” With four hit singles off of her five song debut EP, CAPPA proves she is not one to be ignored. The thought process in creating a new kind of music event has emerged as the old gods of the music industry began crumbling into the dust. We saw amazing artists everywhere not being celebrated and so we created The Outlaw Roadshow. Today we are excited announce the family just got a little larger as we welcome No Country for New Nashville into the fold. Today's music selection is their curated selection for the Outlaw Roadshow. Committed to providing Music City with the latest in local and national show coverage, news, features, premieres, interviews, and more, No Country For New Nashville began as a way to raise awareness about the Nashville music scene, and has transformed into a premiere tastemaking destination over its first four years. Though still primarily a blog, now sporting a large and eclectic group of local writers and photographers, No Country also produces live events through its No Country Presents wing, including a weekly showcase at Nashville's Acme Feed & Seed, and hosts a regular podcast.